Description: The green salamander has an unmistakeable lichen-like pattern of green or yellow-green on a dark background. This salamander is laterally flattened and has squared toe tips. 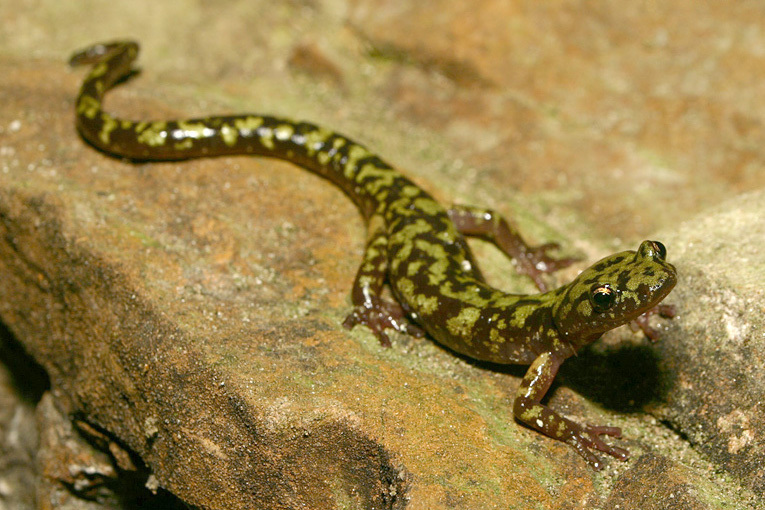 Habitat/Range: Green salamanders typically inhabit moist, shady crevices in cliffs and rock faces. 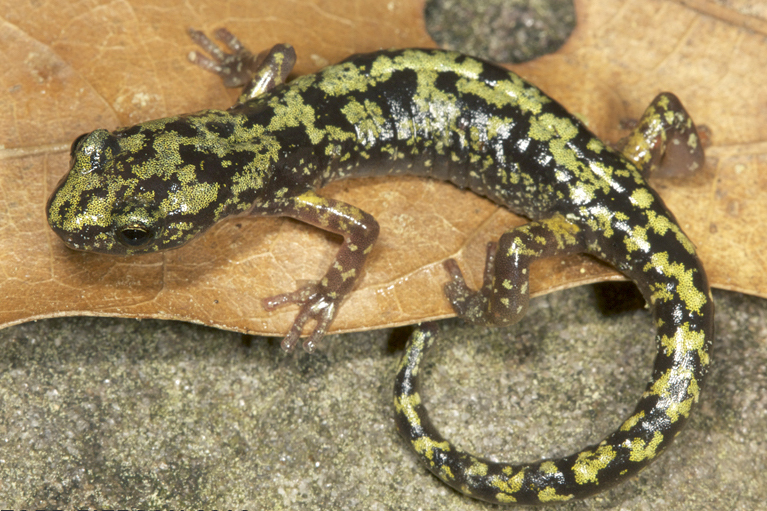 In North Carolina, the green salamander is found only in a small mountainous region in the southwestern corner of the state. Because of their specific habitat requirements, this species has a patchy distribution and is generally uncommon throughout its range. Reproduction: Green salamanders lack an aquatic larval stage and young salamanders emerge from their eggs looking like miniature adults. 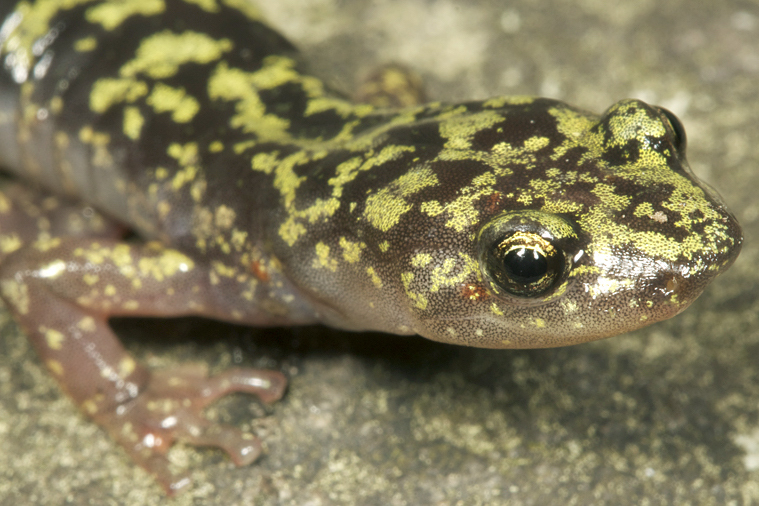 Female green salamanders suspend 10-32 eggs from the roof or side of a rock crevice. The female then guards her eggs, and later the hatchlings, for several months. During this period she will seldom eat. Because of the high energetic cost of reproduction, females only breed every other year. 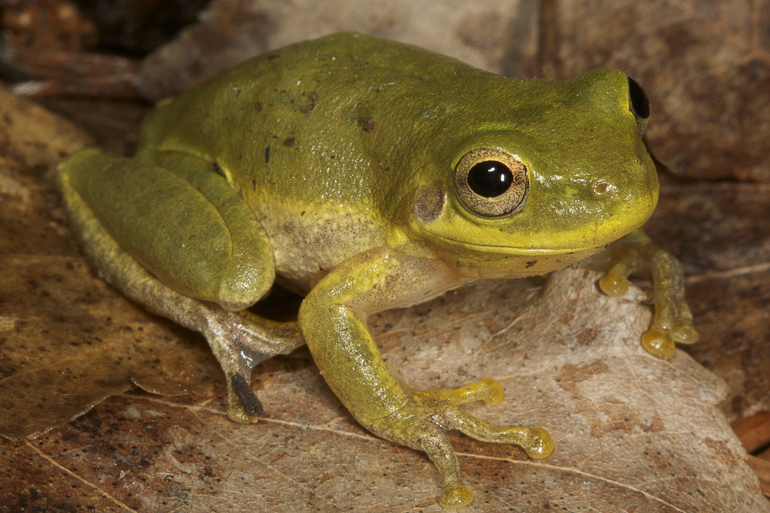 Miscellaneous: This species suffered unexplained population declines during the late 1970s. Drought, cold, disease, overcollecting and habitat destruction have all been suggested as possible causes. 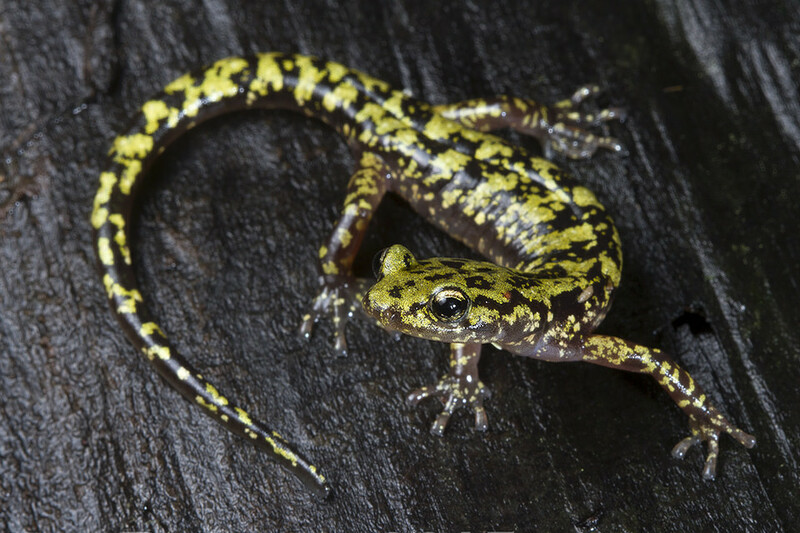 Although the green salamander is currently a single species, recent studies have suggested that there may be 4 distinct lineages that warrant species status. 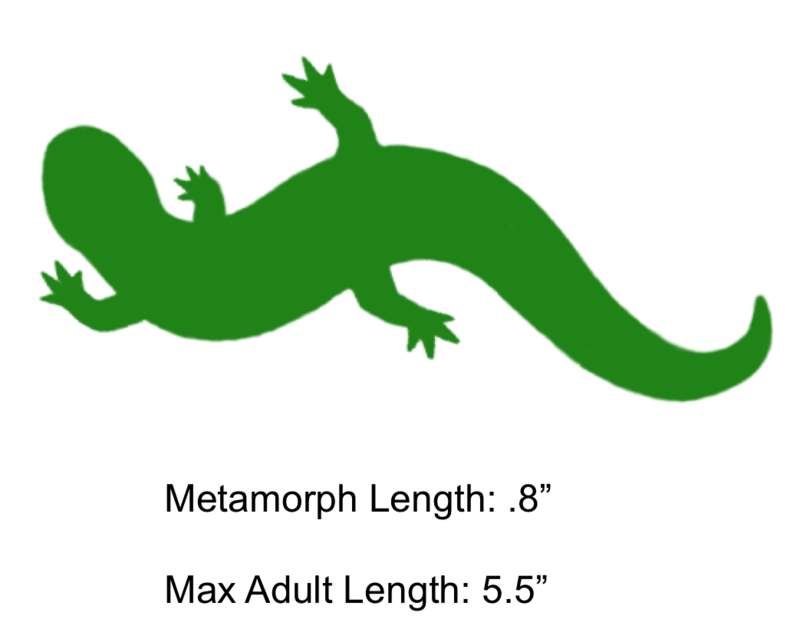 The shaded region represents the range of the Green Salamander in North Carolina.